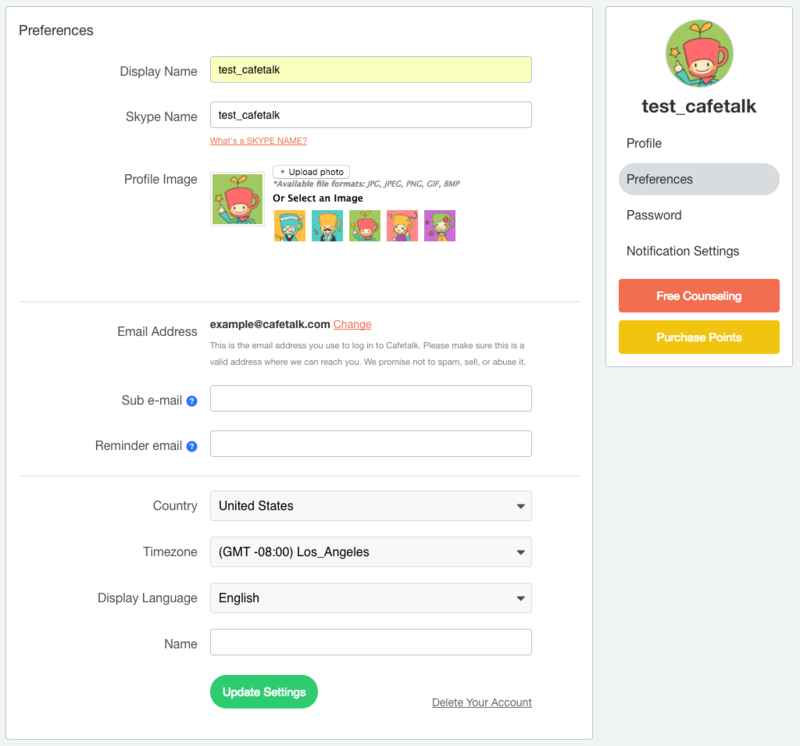 After registering an account, you will be asked to create a profile. From your dashboard, click on "Account" or click on the little pencil icon next to your username. This will take you to the Edit Preferences page. Then click on "Profile" on the right hand side. Click on Profile on the right hand side of the page. You will be taken to the "Edit Profile" page. Use this field to share information about yourself, your study goals, or anything else you’d like. 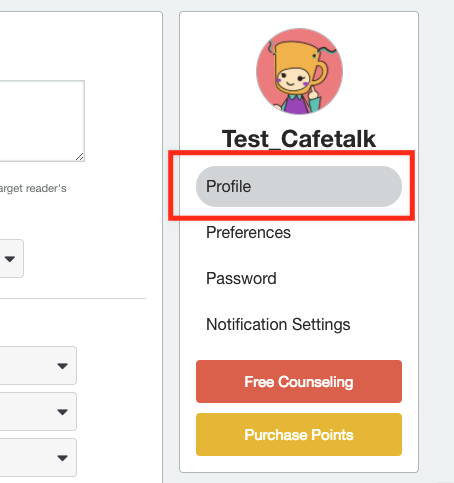 Your tutor will use the information in your profile to prepare lessons that best meet your needs. 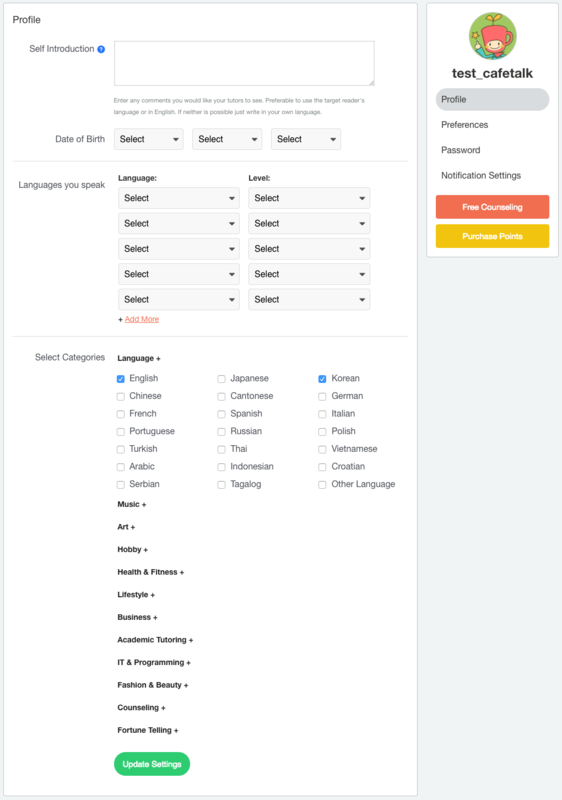 Select the languages you speak and set your language level. This step is important as it lets your tutor prepare a lesson that's not too hard or too easy for you. Your username will be displayed to your tutor. This is the Skype account you use to take your lessons. Please note that if you put the wrong Skype name, your tutor will not be able to contact you at the lesson time. 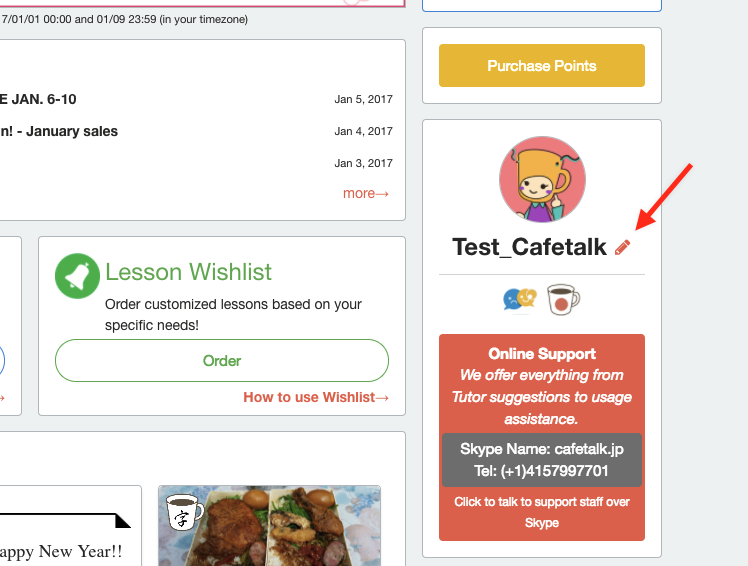 Cafetalk.com will send you lesson reminders and other important notifications via email. Your email address will not be displayed to the public. This field will enable the system to display the correct time zone for your (and your tutor’s) calendar. Please make sure to select the correct time zone. Please input your real name.